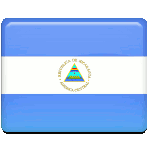 San Jacinto Day is a Nicaraguan public holiday celebrated on September 14. It commemorates the Battle of San Jacinto which took place in 1856 during the Filibuster War. The Filibuster War was fought between a coalition of Central American armies and filibuster multinational troops. Filibusters were United States citizens who attempted to spark insurrections in Latin America. Unlike mercenaries, filibuster leaders worked for themselves. In 1856, American filibuster William Walker usurped the presidency of Nicaragua. Costa Rica declared war on his regime, and other countries of Central America followed suit. So the Filibuster War began. The Battle of San Jacinto was one of the most important events of the war. It was fought on September 14, 1856, between Nicaraguan opposition troops led by Colonel José Dolores Estrada and filibusters under William Walker. Despite being outnumbered, Estrada's troops defeated the filibusters after a four-hour combat. This victory helped Nicaragua re-establish its independence. Estrada is regarded as a national hero of Nicaragua. In Nicaragua, San Jacinto Day is celebrated as a national holiday. It is marked with colorful parades, award ceremonies, flag hoisting and other festive events and activities.